The ATW 2015 event has taken place and has been a great success. 60 participants from 14 contries have contributed to a successful 2015 edition. The success of this event will probably push us to dedicate more resources to the argument of low and hight temperature plasma flows. We will start dedicating soon some resources on our web site, and in planning some more activities in the future. Who participated in this event will shortly receive an email with some instructions on how to upload interesting and/or beautiful pictures to our servers to be put on display. The Eucass 2015 event directly organized by Eucass is getting closer and closer, please visit the event website to have last minutes infos. The complete list of past newsletters is available at the EUCASS website. For your convenience, starting from this newsletter we will provide for each article the keywords selected by the respective journal editor. At the same time, our newsletter editor is classifying the most interesting articles for Eucass according to our areas of interest. Since last newsletter, two issues have been published, Volume 21 and 22. 22 has been released during the preparation of this newsletter, so it will be presented in the next one. Ivanov, A. V. and Kachanov, Y. S. and Mischenko, D. A.
Adamov, N. P. and Kharitonov, A. M. and Chasovnikov, E. A.
Mikhaelis, M. V. and Zanin, B. Yu. and Katasonov, M. M.
Terekhov, V. I. and Smulsky, Ya. I. and Sharov, K. A. and Zolotukhin, A. V.
Sentyabov, A. V. and Gavrilov, A. A. and Dekterev, A. A. and Minakov, A. V.
Kashkovsky, A. V. and Vashchenkov, P. V. and Banyai, T.
Shishkin, A. V. and Sokol, M. Ya. and Shatrova, A. V. and Fedyaeva, O. N. and Vostrikov, A. A.
Askarova, A. S. and Messerle, V. E. and Ustimenko, A. B. and Bolegenova, S. A. and Maksimov, V. Yu. Leontiev, A. I. and Milman, O. O.
Chinnov, E. A. and Ron’shin, F. V. and Kabov, O. A.
Alekseev, M. V. and Lezhnin, S. I. and Pribaturin, N. A. and Sorokin, A. L.
Naumov, I. V. and Mikkelsen, R. F. and Okulov, V. L.
Vinokurov, A. P. and Shtork, S. I. and Alekseenko, S. V.
Anikin, Yu. A. and Anufriev, I. S. and Shadrin, E. Yu. and Sharypov, O. V.
Lisienko, V. G. and Malikov, G. K. and Titaev, A. A. Since last newsletter, three new issues have been published. The june issue is just been released and will be analyzed for our next newsletter. The toc for the issue N.5 is reported below for your convenience. Yang, Q. and Bao, W. and Zong, Y. and Chang, J. and Hu, J. and Wu, M.
Mojaddam, M. and Hajilouy Benisi, A. and Movahhedy, M. R.
Bardera, R. and Meseguer, J.
Yan, L. and Zhao, J.-G. and Shen, H.-R. and Li, Y.
Li, T. and Zhang, S. and Yang, H. and Zhang, Y. and Zhang, L.
Karimi, J. and Pourtakdoust, S. H.
Cen, Z. and Smith, T. and Stewart, P. and Stewart, J.
Davari, A. R. and Askari, F. and Soltani, M.
Chakraborty, I. and Mavris, D. N. and Emeneth, M. and Schneegans, A. Sun, L. and Wang, W. and Yi, R. and Zhang, W.
Chang, G. and Liu, M.
Kosari, A. and Maghsoudi, H. and Lavaei, A. and Ahmadi, R.
Lai, Y. and Liu, J. and Ding, Y. and Gu, D. and Yi, D.
Gao, L. and Deng, X. and Feng, X. and Yang, Z. 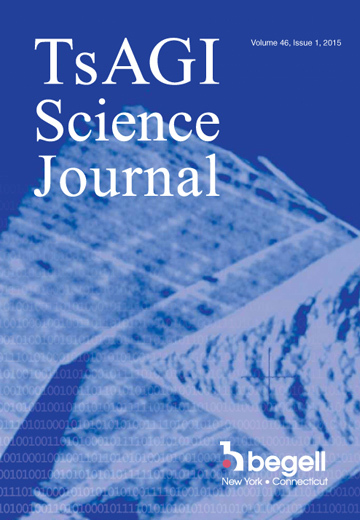 We have received a recommendations about the following journal by Sergey Frolov. Below a little introduction. 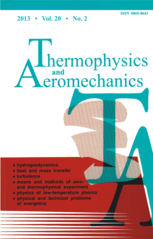 The Journal of Combustion and Explosion publishes theoretical, review, and discussion articles on the research and development in the field of physics of combustion and explosion, chemical propulsion, applied mathematics and gasdynamics, thermodynamics, thermochemistry, nanotechnology, chemical engineering, power engineering, and others. The journal is published in Russian. By a special decision of the editorial board, some articles can be published in English.